When you are interviewing listing agents for the job of selling your home, you'll have that one smooth-talker who says "list with me, I have my own buyers." List with this guy, and you will almost certainly leave money on the table. Long time readers of the Tallahassee Real Estate Blog know that I advocate interviewing multiple agents when you decide to sell your home. The reason is that first of all, you want to ensure that you are getting the best marketing system for your home, but secondly, you also want to learn more about the process so that you can hold your real estate agent accountable after you have made your hiring decision. It is likely that one of the agents that you choose will have the gift of gab ... a real smooth talker. You will like him the best, and you'll think you've made a new best friend. Unfortunately, the opposite is true. Don't fall for salesmanship, make sure there is real, measurable content behind what you are being told. The smooth talker just wants to get your signature on the listing agreement. He'll agree to any asking price that you demand (even if it hurts you in the market), and he'll tell you about his large pool of buyers that are just going to love your home. Before you fall for this oft-used tactic, meet with him and his broker. Ask to see what the real estate company does to support that listing agent. What do they do to dominate the local internet traffic where the ready-buyers congregate? What do they do on a daily basis to herd buyers to your home online (remember, 95% of buyers are using the internet, so they better have a rock-solid internet marketing plan). You see, all real estate companies should have a list of buyers ... is it unreasonable to ask to see the list? You are getting ready to pay tens of thousands of dollars for this service, make sure you get what you pay for. 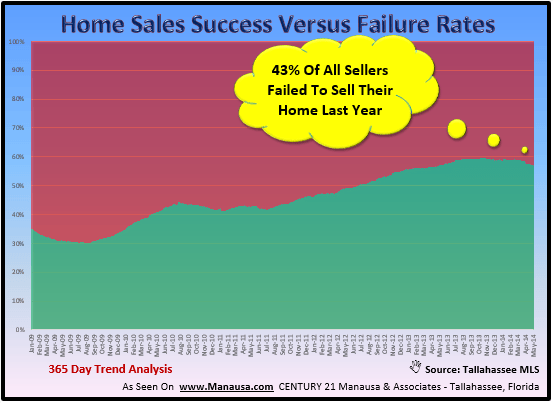 Even as the market soared higher last year, nearly half the homes listed for sale in Tallahassee failed to sell. 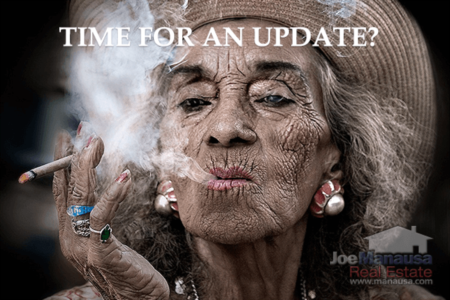 Imagine having your home on the market for months (or even years)? It doesn't have to be that way. There is a sure-fire way to make the smooth talker put his money where his mouth is ... if you feel you must give him a shot. After all, he says he has the buyers ready to buy your home ... why not sign a 2 week listing agreement. That should give him all the time he needs. Right? If he brings all his buyers there over 2 weeks and the home doesn't sell, then why else did you hire him? Did you need a new friend? Or did you want to sell your home? You can agree to extend the listing if you think he is bringing "his own buyers" in at a fair pace. Why Work With An Agent When You Can Hire An Entire Real Estate Company? We believe that the amount of marketing required to ensure that you receive the attention you need (from homebuyers) just cannot be done by a real estate agent alone. And that is how most real estate agents work. Alone. Or perhaps as a small team. We believe the real estate company should be geared to support you, and that an effective internet marketing plan for selling homes takes more than 10 man-hours per day. Please don't confuse this as me saying "bigger is better," as most large real estate companies are merely a large group of independent contractors. We believe in specialization and putting the right people in the best position to help our buyers or help our sellers. 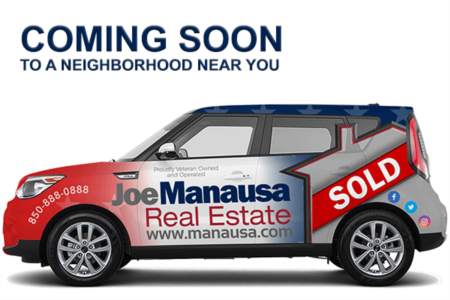 Find out how our progressive internet marketing plan for home sellers works, and how we can sell your home in two weeks or less. You'll be glad you did when you sit at the closing table and collect your money. Want to know more? Just drop me a note and we can schedule a time to bring you to our office and show you how we'll bring the most buyers to your home.